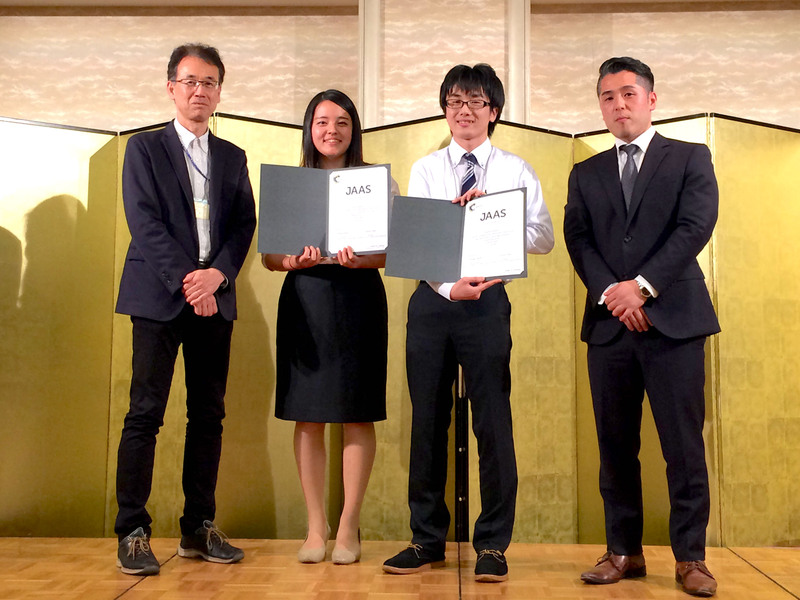 Two JAAS poster prizes were given out at the Tsukuba Seminar 2017, organised by the discussion group for Plasmaspectrochemistry. The two day seminar had a focused on fundamental and recent developments of ICP analysis and had speakers from universities, national institutes and industry. Ms. Misaki Baba (Tokyo Institute of Technology) won one of the awards for her poster titled “Measurement of reactive species in atmospheric low temperature plasma for applying to analytical and medical field”. The other winner was Mr. Koyo Ido (Tokyo Denki University and National Institute of Advanced Industrial Science and Technology) with his poster “Highly Sensitive Determination of Rb by Cool Plasma ICP-OES”. The awards were presented by Professor Takafumi Hirata (University of Tokyo, President of the discussion group for Plasmaspectrochemistry, JAAS Editorial Board) and Dr. Hiromitsu Urakami (RSC Japan).